1 Cup or equiv of the sweetener of your choice. Melt a stick (half a cup) of butter in the microwave in a measuring cup. Use 25 second increments so the butter doesn't spill over. Once it's melted, set the measuring cup aside to let the butter cool off a bit (not solidify). Preheat the oven to 350 degrees (fahrenheit). In a large bowl, combine the egg whites with the cinnamon and your choice of sweetener. Use a whisk and move the egg white over the cinnamon to make sure it's well mixed. Add a dash of salt if you don't like overly sweet things. Add the pecans to the bowl, making sure to coat each pecan with the cinnamon/eggwhite mixture. I've found it's easier if you put a lid on the bowl and shake it, though that does break some of the pecans. 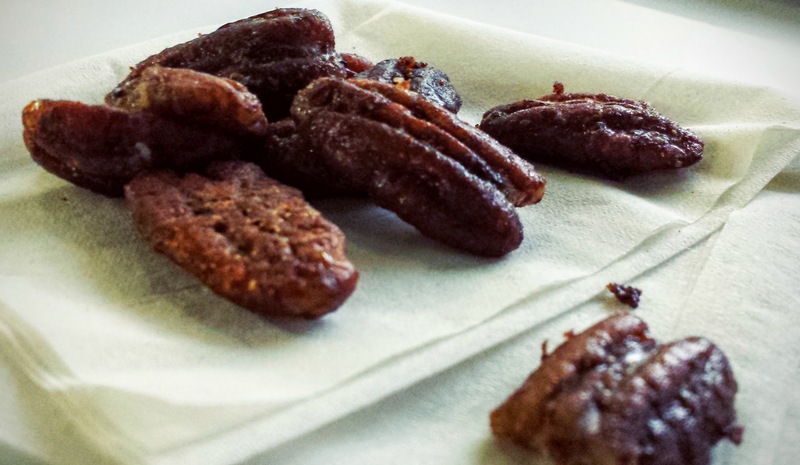 Pour the melted butter over the coated pecans, making sure they're well coated. Line a large 9x12 baking dish with foil. Add your non-stick choice (cooking spray or a preferred alternative) and make sure the foil is well coated with it. Pour the pecans into the baking dish. 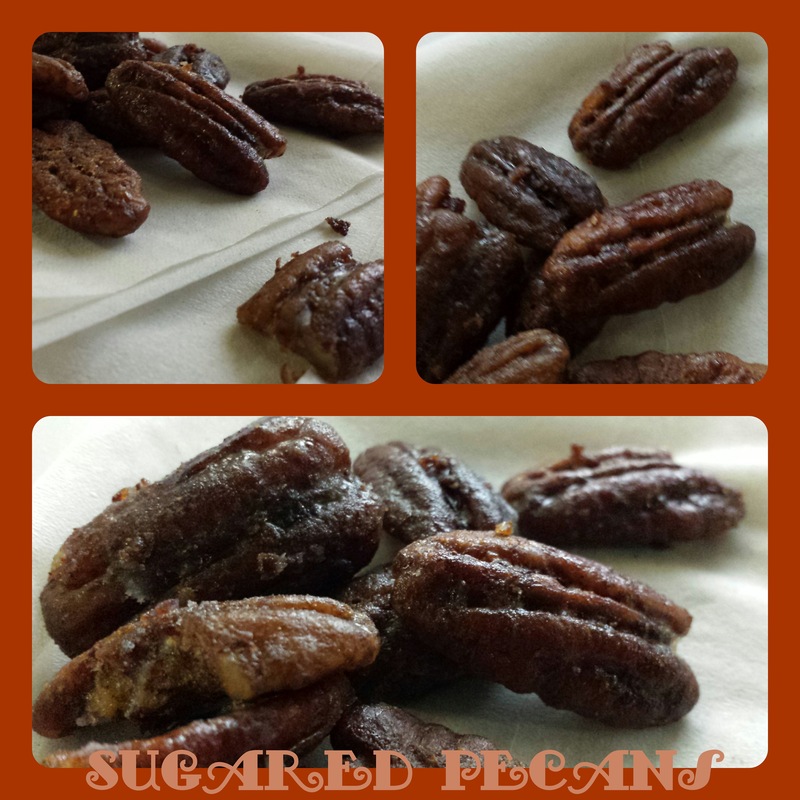 Make sure the pecans are evenly distributed. 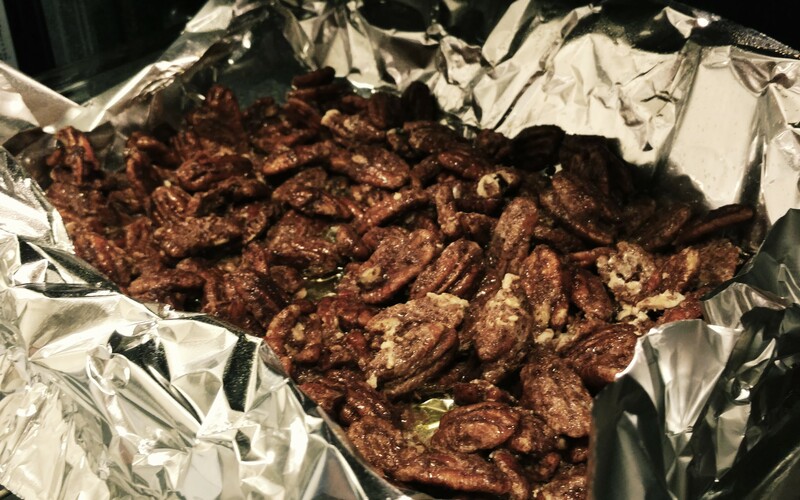 If there's any additional coating, pour it over the top of the pecans. Bake for 30 minutes, stirring every 10 minutes (total of 2 stirs in 30 minutes). Once they're cooled, store them in an airtight container. Since they contain egg whites you may consider storing them in the fridge.